We bid adieu to the year 2013 with four books of Tinkle Special Digest. 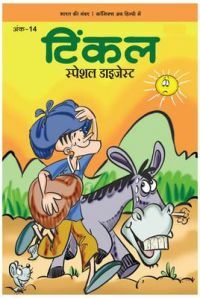 These books are loaded with stories of your favourite Tinkle Toons, interesting stories and activities. Besides this there is one page of Ajab-Gajab based on amazing facts. Enjoy! Suppandi 6: Who's the Boss?